Frequently Asked Children's Yeast Infection Questions - YeastInfection.Org by Eric Bakker N.D. Yes, children are susceptible to the same causative factors for a yeast infection as adults. Children whose mothers had a candida yeast infection during their gestation and/or birth are especially vulnerable to developing a yeast infection. These children are often more sickly, are more likely to be prescribed antibiotics (which worsen yeast infections), are more prone to food allergies and take longer to recover from illnesses. However, they too can greatly benefit from proper yeast infection treatment and healthy lifestyle choices. 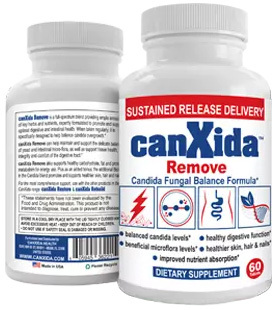 We often see adolescents and young adults in our clinic with yeast infections, who benefit tremendously from Eric Bakker’s Candida Crusher Program. Infants and toddlers can easily get yeast infections when they are in diapers or just starting to toilet train because yeast can grow especially well in wet skin folds. The yeast infections that affect toddlers are caused by candida albicans, which is the most common cause of all types of yeast infections. Paediatricians can determine whether a rash on the groin or a thrush in the mouth of toddlers is yeast infection. To get a definite diagnosis a doctor may examine the scrapings of a yeast infection under the microscope. I have found in most cases of diaper rash that a quality Calendula cream works best. Always use a 100% natural diaper rash cream that does not contain any chemicals or irritants. A high quality cream or ointment can stop yeast infection rashes of many kinds, not just diaper rashes, but for optimal results use a cream which contains tea tree oil. No, it is not a dangerous condition as such, just extremely annoying to both the child as well as the parents. It is best treated as early as possible otherwise it will eventually become a chronic condition. I would recommend that you use a gentle cream with an infant, preferably one containing aloe vera gel, tea tree oil, calendula and perhaps some eucalyptus oil. They most certainly can, and this is a common problem I see time and again in my clinic. Antibiotics destroy both the “good” and “bad” bacteria and the first organisms that tend to grow back are the yeasts. It is most important to give a toddler a probiotic after any antibiotic treatment, and better still to avoid giving antibiotics in the first place. Amoxicillin is an antibiotic. It would treat the ear inocteifns and the sinus infection at the same time. If your son got this infection after he stopped the antibiotic, then I would call the doctor again.If they decide not to give you any more medicine. I would get a humidifier and some baby Tylenol. It does stink that we can not buy the baby cold products anymore. I used them with my daughter and my son until they were pulled off the market. I would understand if they were recalled due to an issue with the product, but to recall something because some people might not be bright enough to properly read the directions please. I sort of wish I had stocked up on them.However on the flip side, people survived for years before these products were invented and our kids will adapt and learn to fight off these illnesses. I just hate to see them so uncomfortable. Okay, I had sinus too. What i want you to do is buy the new Oral B brush and get a sensodyn paste! You might be wdonering what this has to do with mucas in your nose. Well, brush thrice a day and you will see mucas melt slowly although it contains viruses that only anti-biotics can get rid off. Brushing you teeth regularly will definatly help long term. Keep cleaning you nose with a warm wet towal too so it brings you some relief. Then later, start meditation which will surely help. I am sorry to know you have sinus it really sux but you will be fine soon. God bless you! Hi Maria, Good point, oral hygeine is very important to prevent all manner of infections in the mouth, ear, nose and throat. Thanks for your comment. I totally agree, drugs are for mugs, and I too used a humidifier when my son who at 6 months (he is 18yrs now) had a bronchial infection. The doctor was ready to give antibiotics, steroid puffers and more, and said he was an asthmatic! BALONEY. He had an infection which we easily cleared up with essential oils and the humidifier. Drugs are NOT reqired in most cases with children.